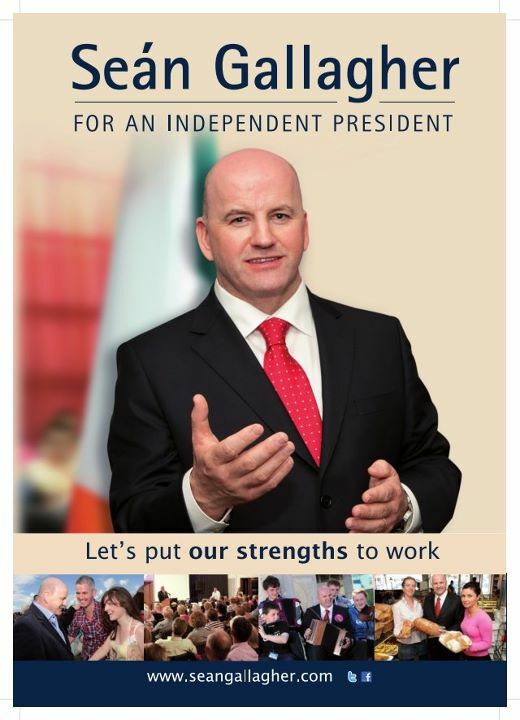 Independent Presidential candidate Sean Gallaghers latest newsletter links to this Poster (or Print-Out as he calls it) with the following text. 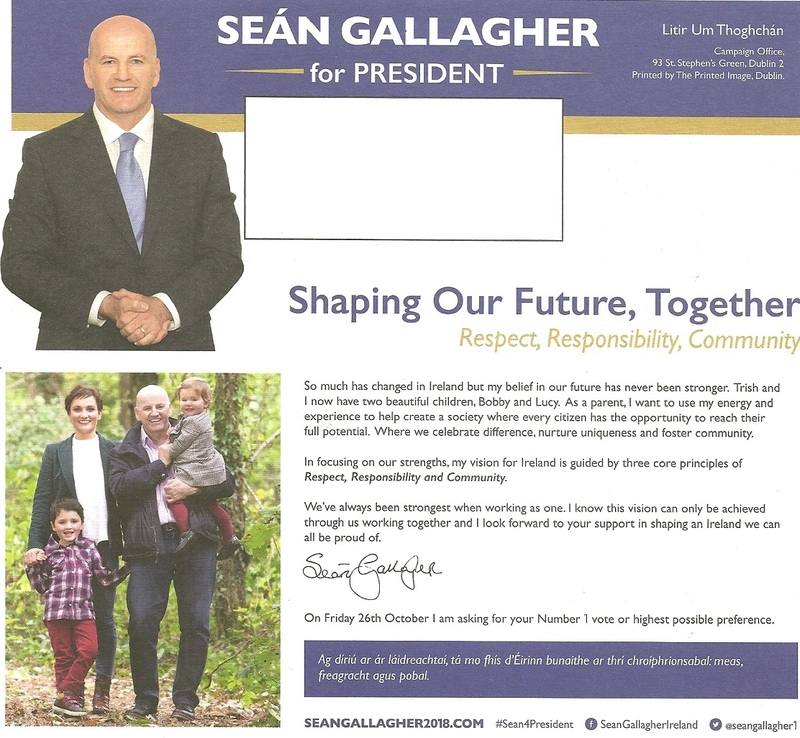 Stick a Print-Out in Your Window: Print out a Seán Gallagher notice and put it up in your window at home, in your local shop or on a noticeboard. Ask permission of course! Seán Gallagher, independent Presidential candidate 2011, explains his message of hope, positivity and confidence for the Irish people. 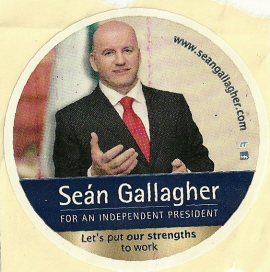 From the 2011 Presidential Campaign a sticker for Independent candidate Sean Gallagher. 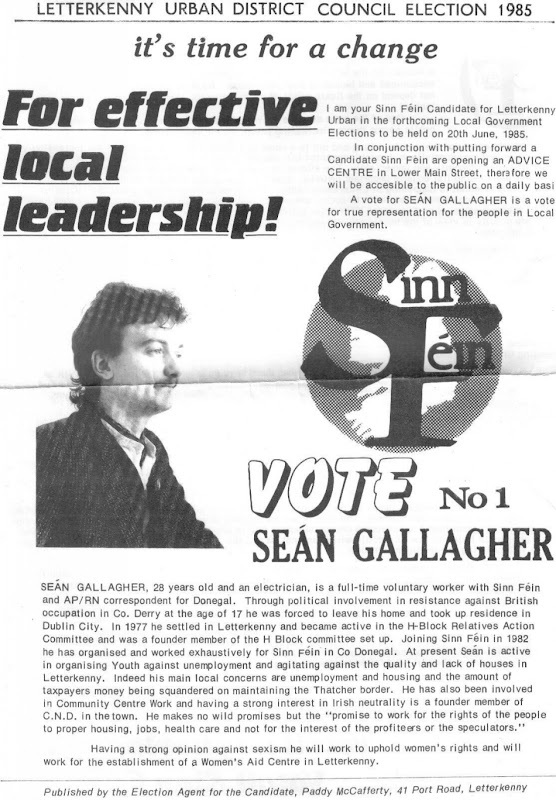 From the 1985 Local Elections a leaflet for Sinn Fein candidate Sean Gallagher running for Letterkenny UDC. Unemployment, Emmigration and Housing are amongst the many issues covered in the Leaflet.